An opportunity to lease this town centre retail unit located in a prime position immediately adjacent to Marks & Spencer and close to other major retailers including Costa Coffee, Nationwide Building Society, Lloyds Bank. W H Smith Dorothy Perkins and Mountain Warehouse. 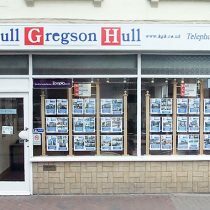 The accommodation comprises a well configured double fronted shop unit on the ground floor with further accommodation on the three upper floors. There is a rear entrance accessed via New Street.